Celebrate Diversity & Inclusion. Support Fellows. Celebrate diversity and inclusion. Support global leaders. Invest in Atlas Corps! 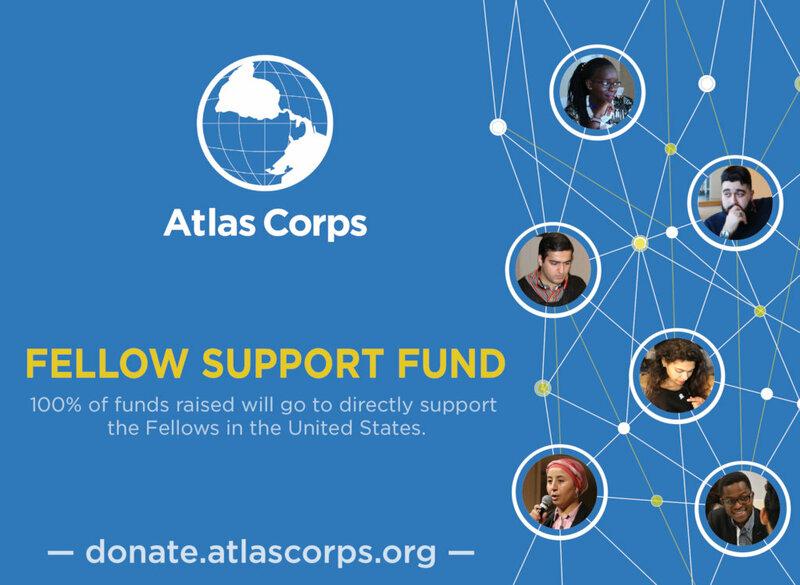 Support the Atlas Corps international network of inspired social change leaders as they address today's most pressing challenges in their home countries, in the U.S., & around the world. We engage the world's top social change leaders in a 12-month professional exchange in the U.S. to develop innovative new partnerships, strategies, & models for tackling critical social issues, like women's empowerment. The current, dominant model of international development perpetuates social inequality - the "developed world" possesses the resources, staff, and answers to solve problems of "developing world." To overcome these challenges, Atlas Corps pioneered a multilateral exchange model that empowers individuals while building organizational capacity in the USA and abroad. We build bridges between individuals, organizations, and countries to forward positive social impact. We are developing a generation of nonprofit leaders empowered with the skills and networks to tackle the world's biggest challenges. Each year, we engage, on average, 100 international leaders from 25 different countries who serve at 75 different organizations in the United States and Colombia. See videos of Atlas Corps!